Made with all-natural peppermint oil, SAFE to use around pets and children but rodents HATE it! MADE IN AMERICA! Effective against mice, raccoons, roaches and more. Contains 8 oz of natural peppermint power - thats 1,000 sprays! 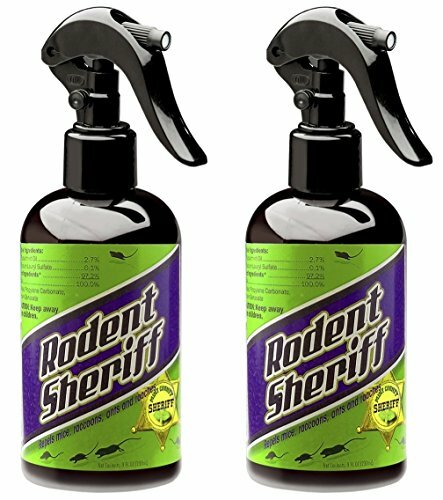 If you have any questions about this product by RODENT SHERIFF, contact us by completing and submitting the form below. If you are looking for a specif part number, please include it with your message.